The Apple Watch won't be available until 2015 but its first announced game, iArm Wrestle Champs, is already available for download on iTunes. Right now the game can only be used as seen in the video below, but once the Apple Watch is available, you'll need only to wear the watch with the game installed and begin arm wrestling: the rest is like magic. The game will take advantage of the accelerometer, gyroscope, and other sensors on the new iPhone and Apple Watch to determine the position and angle of your hand as you arm wrestle. 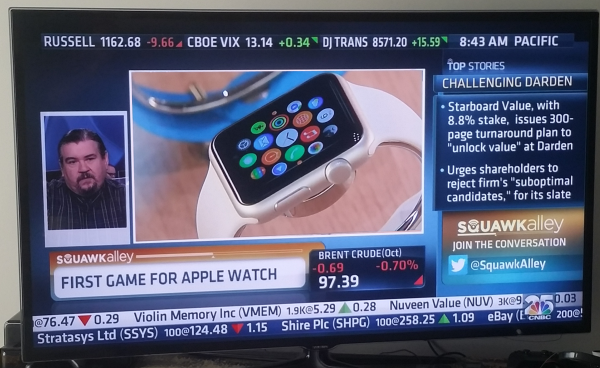 The Apple Watch version of iArm Wrestle Champs was announced on CNBC by company founder John Brandstetter who said it will come in the 2nd quarter of 2015. His company is Flying Tiger Entertainment and they make a host of games for various platforms, including the next generation consoles like Playstation 4. Is it just me or does it seem odd that adults paying $350 for a smartphone accessory would be arm wrestling each other with a mobile game? Perhaps that’s a moot point: their announcement has already gotten so much invaluable press for their company and brand. 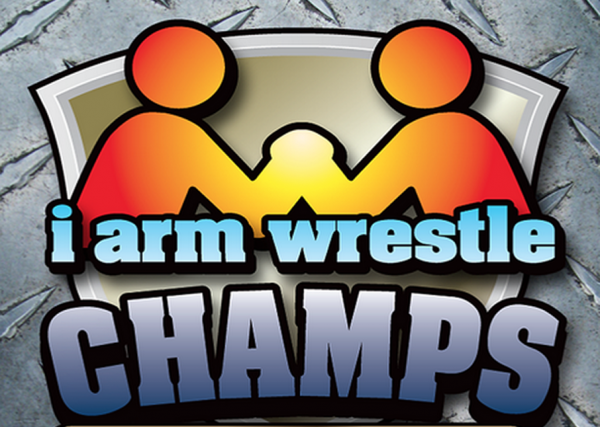 Although iArm Wrestle Champs for Apple Watch isn’t yet available, get a jump on the competition by downloading the app for the iPhone or Android.